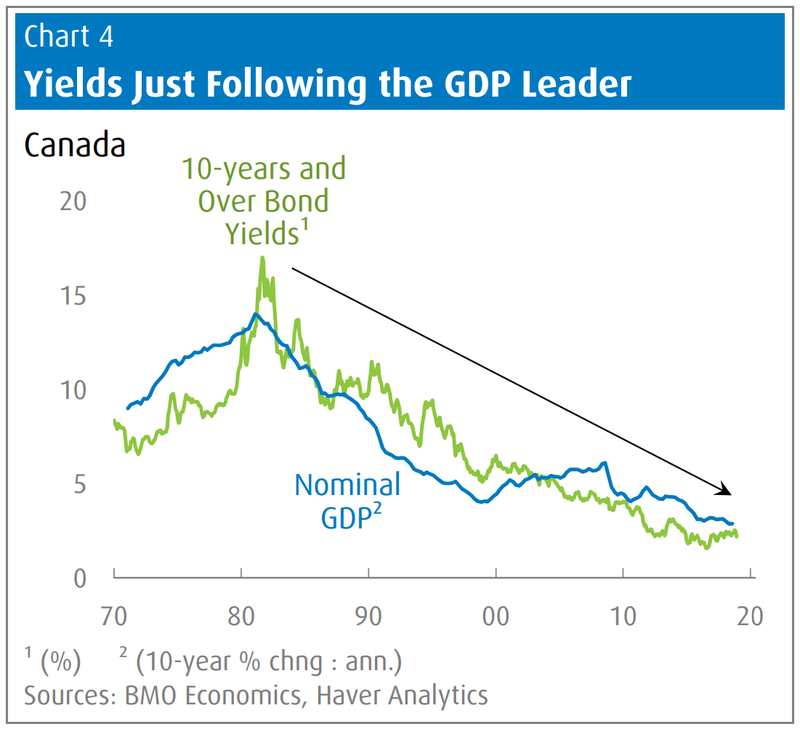 BMO Capital Markets has taken a “scalpel to [its] Canadian rate forecast,” as it describes it. The company now projects just one Bank of Canada rate increase in all of 2019. By comparison, financial traders peg the odds of a rate hike this year at just 49%. That’s according to implied probabilities in the bond market, as tracked by Reuters. “…We are of the view that neutral rates in Canada could be as low as 2%, so the current overnight rate of 1.75% is almost there,” BMO wrote on Friday. Among other things, its reasons include: disappointing domestic spending, weaker housing, questions about the future of free trade and a more dovish Fed. Perhaps it sees something the market doesn’t. Or maybe it’s just wrong. That wouldn’t be unheard of. Professional economic forecasts are wrong as often as Super Bowl bets against the spread. In fact, for 25 straight years the 5-year rate forecasts of economists tracked by the federal government have been “far too high,” BMO says. The BoC isn’t much better of a predictor. Most of the market is using models based on past data that have limited relevance to today’s economic environment. Long-term GDP levels are just one example of flawed model inputs. Over time, few have foreseen the steady decline in Canada’s economic growth (nominal GDP). That slowdown is a big reason why rates have drifted lower. What could it take to lift rates in a meaningful way? Better real GDP gains (“perhaps supported by higher infrastructure spending or productivity”). BMO states that none of these things are very likely, and hence the bank’s official estimate of neutral is “probably” too high. A lot of bond pros are now betting the BoC will lower its neutral rate estimate in a few months. It may take so long for prime rate to jump 75+ basis points that any mortgage rate under 3% is a winner (assuming you’re well-qualified, financially stable and risk tolerant). A rate under 3% still gives you enough spread (versus long-term fixed rates) to ride out a few more rate hikes and still be ahead. Although, that’s less true today than it was in the fall when 5-year fixed rates were 20 bps higher. If you’re refinancing, buying a $1 million+ home, financing a rental property or getting an amortization over 25 years, Canada’s lowest rates are slightly above 3%. All these loan types require uninsured financing, which almost always comes at a premium these days. I’ve been saying it for months… there’s no way the BoC is going to get to its “preferred” neutral rate by the end of this year… or any subsequent years for that fact. People are carrying too much debt and I don’t foresee skyrocketing wage growth any time soon, so inflation should stay more or less in check. I’m surprised so many of the big banks are still forecasting 2 or 3 rate hikes this year. Wishful thinking on their part? While Poloz has been somewhat vague on where the neutral rate lies, he has firmly said it must be above 0 in real terms. If the 2019 forecast of 1.7% inflation is correct, then the current current overnight rate of 1.75% could already be “neutral”. I kind of disagree with this analysis of what rates to take in today’s market and here’s why. 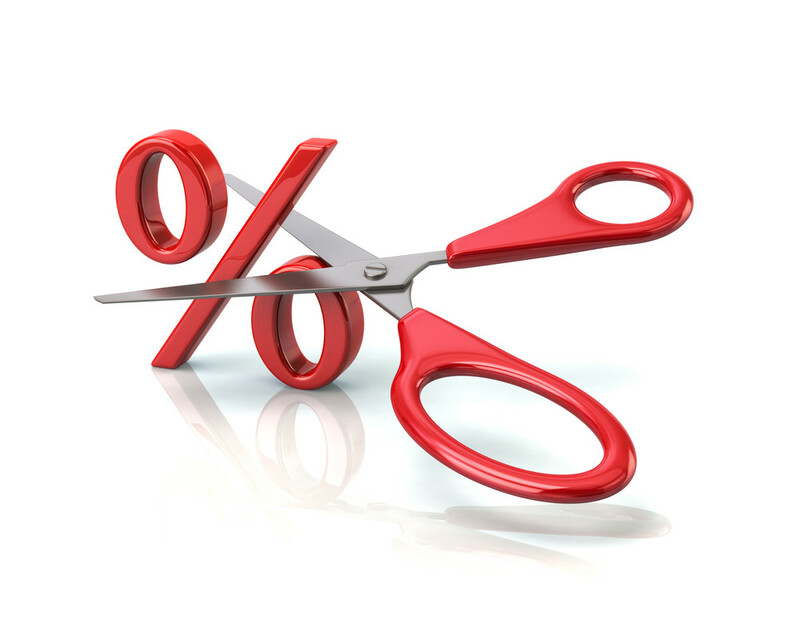 most five year variable rates are around 3.4% and not 3%. The spread has shrunk considerably as of late. The spread was about 0.7 whereas today it’s about 0.2-0.3. It’s true there’s still some lenders with a variable of around 3% but they’re not the majority. I would say this analysis would have been true last year before the last increase in five year fixed rates when fixed were about 3.3-3.45 and the spread was about 0.7 which would have made sense to go with variable then but not today. Another thing to consider is borrowers stability and risk tolerance and here I must say that a good number of borrowers are directed but not necessarily misguided towards rates and terms that they don’t fully understand so this will mask their ability of assessing their stability and risk tolerance should variable rates get somehow out of control unexpectedly. For variable rates to make sense the spread should be at least 0.7-1 which is no more the case. Regarding the 1 year fixed rate I also disagree for two reasons. The first one is that there’s no big difference between the five year fixed and one year fixed and also if the borrower is not financially stable and there’s no job security then the one year fixed would put the borrower under increased risk plus it’s not convenient to keep renewing every year for a mortgage of 25 years. I have been following up on the mortgage news and articles on this site for the last two years and I have to say they have been accurate and helpful for the most part and I liked them but to be honest as the spread between variable and fixed has shrunk considerably I increasingly find it very tricky to choose the right mortgage terms and that’s why I don’t fully agree with the article. Thanks for writing in. Always appreciate counterpoints. The strategies you read on this site are generally not based on “most five-year variable rates” or most one-year fixed rates or the “majority” of rates. They’re based on the best rates. We don’t generally write for people who are content paying much more than they have to. On that note, there are at least a dozen offers in the market under 3%. When you write that “there’s no big difference between the five year fixed and one year fixed,” that’s certainly not true with respect to the best comparable rates. The effective 5yr-1yr spread for the best comparable rates is roughly two rate hikes. Regarding “For variable rates to make sense the spread should be at least 0.7-1,” that is simply not supported by historical data, particularly when the yield curve starts approaching inversion. Your comment about having to renew 1-year terms every year is valid of course, but it also ignores that a 1-year: (A) lets you ride out poor variable spreads so you can get better 5-year variable discounts in the future, and (B) gives you more flexibility to refinance or sell without penalty. A full discussion of term suitability was beyond the scope of this short post but you can find many such articles by using the search function. Lastly, the article notes that it’s geared to financially stable, risk tolerant borrowers (i.e., applicants who are qualified and for whom a floating or short-term rate is suitable). We’ve written many articles for folks who don’t meet this criteria. This is not one of them. The lowest 5 year fixed I see at the big banks is 3.74%. I can’t understand who would be stupid enough to pay that, assuming they have paid attention to the economy even a little bit.